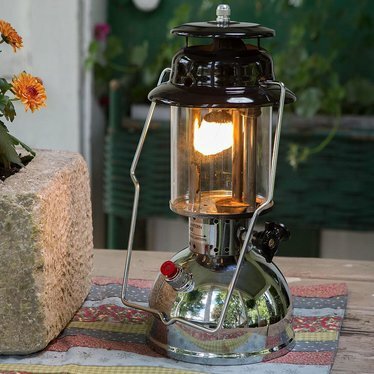 Ready for long nights ahead, this time-proven kerosene pressure lantern will light the way whenever you need it - burns brightly for about 11 hours! Compare it side by side to other mantle lanterns and you'll instantly see the superior construction. In fact, it's the same lantern that has been used since WWII by Australian ranchers and bushmen. We understand that not everyone has access to electricity and that you need a light source that works when you need it the most. That's why we were so excited when we found this time-proven lantern. Made for the real rough and tumble campers and the off-grid folks who need a light they can rely on, again and again. Most mantle lanterns are made in China, but ours is made in Australia, a country known for its hard climate and rough terrain. In fact, it's been proven in use since WWII by Australian ranchers, bushmen and Aboriginal tribes people. It's a quality lantern you can rely on with a huge advantage: the fuel it uses is less expensive than what some mantle lanterns consume. I ordered one and took it to my cabin in a remote area in the Canadian woods. Unpacked it and was surprised to find that you need to have "menthylated spirits" in addition to the kerosene. The spirits go into a little dish and are lit to preheat the burner. Menthylated spirits turn out to be the same as denatured alcohol, but I wasn't able to find anyplace that sells it. Finally tried rubbing alcohol and that worked. It's a great lamp, but they should tell you about this before you buy it! Also, the dish for the spirits needed to be moved to a different position. The instructions don't mention this, but I figured it out by looking at the illustration. Finally, the box it came in had a sticker saying it was 'designed and manufactured in the USA' so not sure how this is an Australian product. However, once I got it working, the lamp puts out a very nice, bright light. I am a service tech. here at Lehman's. I fix and repair all style's of lanterns. So I got the opportunity to test a Aussie Buss Light with my friends and their families as well as mine during our annual family camp out. I hung it from a tree that was in a central area of our campsite. So at dusk I lit the lantern and it lit up the whole campsite all evening and well into the night. I loved it as well as everyone else. 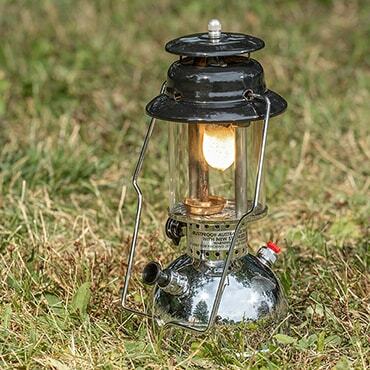 Very well built durable lantern. I'm not sure if this is the same as the Austmax kero lamps we have here in Australia. If it is, you'd be hard pressed to find a more reliable lamp. I still see ones from the 50's being used here in the bush. Most farms and stations (we don't call them ranches here) still have some kicking about. You can see me burn this light in the video we provided. It's bright, reliable light. The thing that most impressed me about it from the beginning, though, is its made in Australia quality. It will be the one camping light you can pass on to your kids!